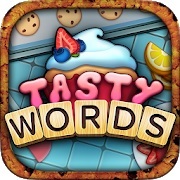 The answers for Tasty Words to finish every level are listed here. These solutions can help you to find all the words for Tasty Words when you are stuck in this game. Just scroll down to browse through the answers for each level. In some cases the levels of the game are arranged differently, thats why you can search for all the possible words with the letters you have. Just enter them below and search for all the Tasty Words solutions. Please like this page if you solved your Tasty Words level.